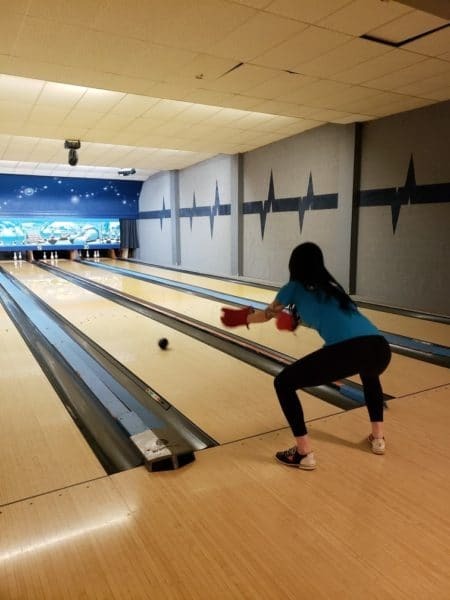 Bowling is a sport and as this New Year begins there are many people who look toward to making changes to their lifestyles, becoming more interested in exercise and eating right. 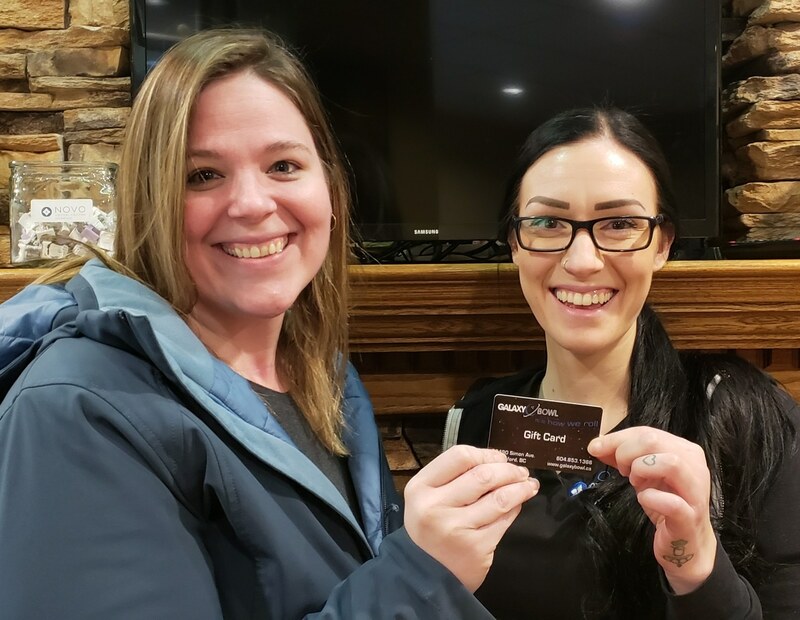 Towards that end, our January NOVO Monthly Draw for a $50 gift certificate to Galaxy Bowl will help in that direction. Bowling as a way to exercise lowers your risk of stroke, heart disease and diabetes. It also lowers cholesterol and blood pressure while improving circulation. It can also help speed up your metabolism through consistent movement and bowlers use 134 muscles during a game. The repetitive swinging, flexing, bending and stretching also helps tone muscle groups in your arms, chest, back and legs. Bowling has one of the longest and richest histories of all sports, dating back approximately 4,000 years ago to Greece and Rome…and it’s fun!! Galaxy Bowl hosts birthday parties, Fundraisers and other special events as well as leagues. Have you tried “Glow Bowl”? This neon version of bowling adds an out of this world feel to the game. Galaxy Bowl offers snacks and is fully licensed and if you have unlimited energy there is an “unlimited bowling” special offered seven days a week. 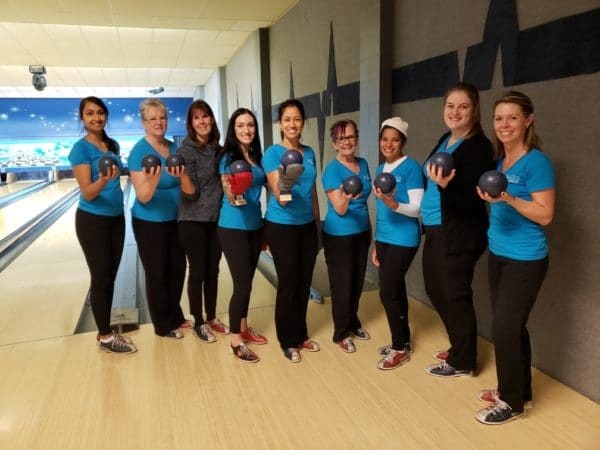 Team NOVO can testify about the fun that can be found while bowling as Dr. Provo took the staff to Galaxy Bowl in December to raise funds for the Food Bank. Among all the laughter of bowling backwards between our legs and having to wear oven mitts, we raised a substantial amount of money while bonding as a team. Our winner, Robyn and her family, will certainly have a “ball” and get some exercise on the lanes of Galaxy Bowl! !